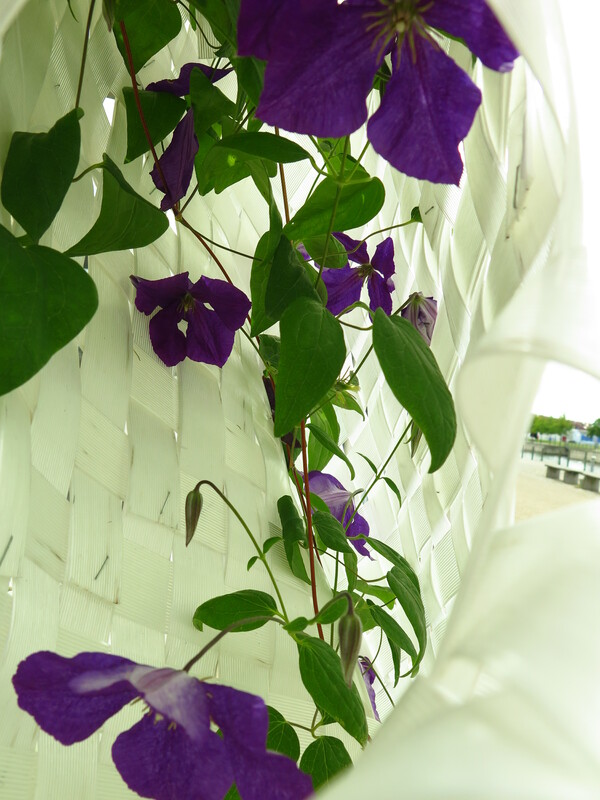 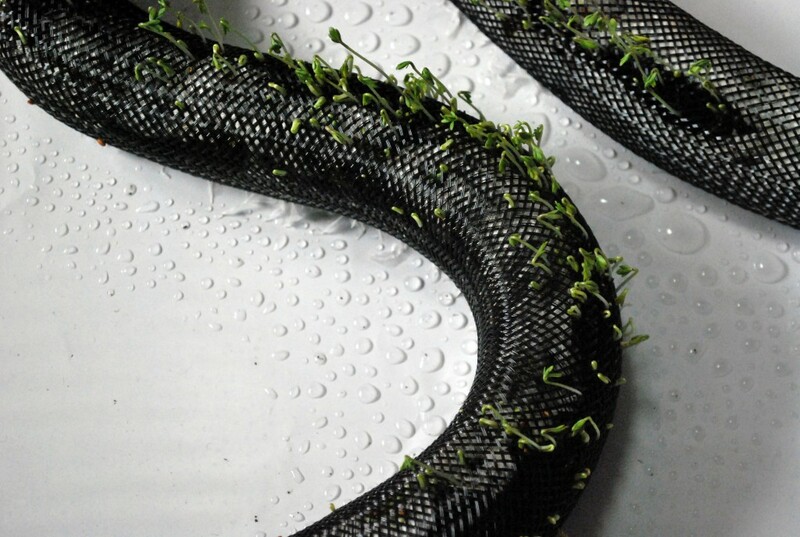 Notional study of possible plant/braid configurations with plant growth steered through braid – partial cover. 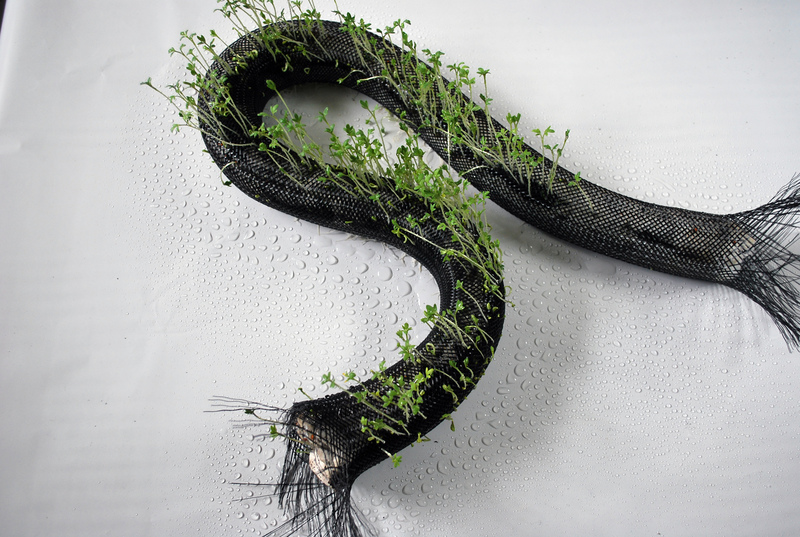 Notional study of possible plant/braid configurations with plant growth steered through braid – full cover. 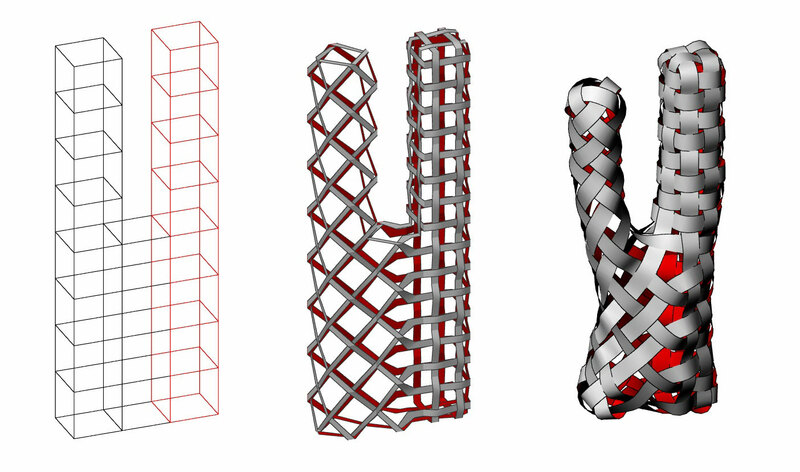 Complex braid morphology conforming to principles of manufacture – study 1. 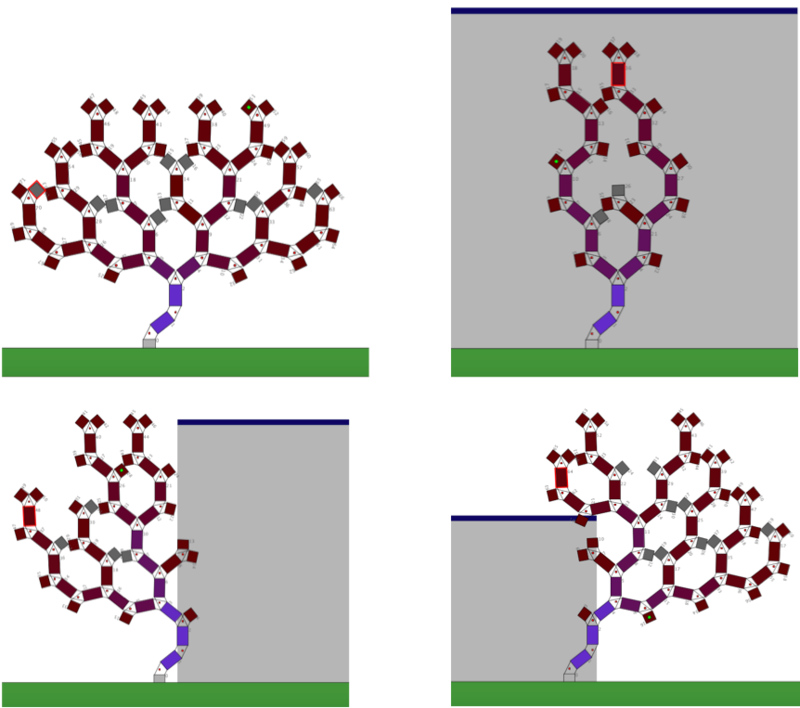 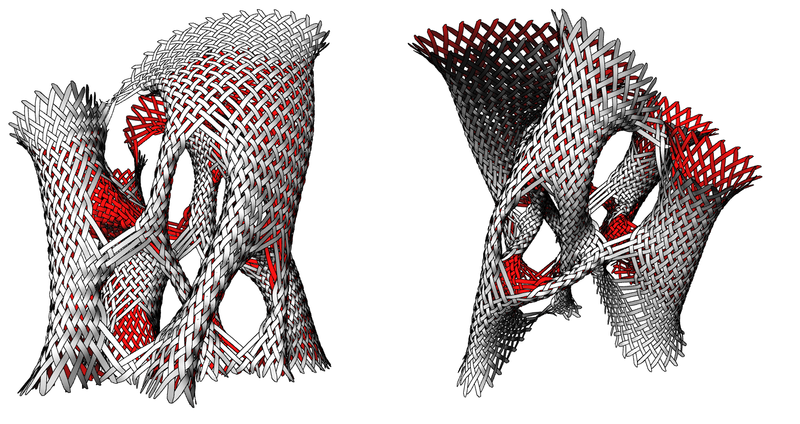 Complex braid morphology conforming to principles of manufacture – study 2. 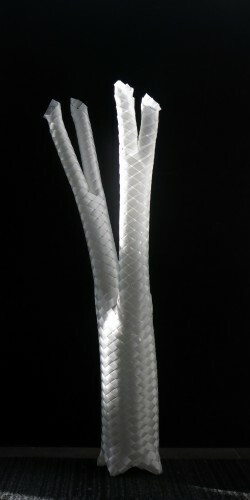 Study of complex braid morphology. 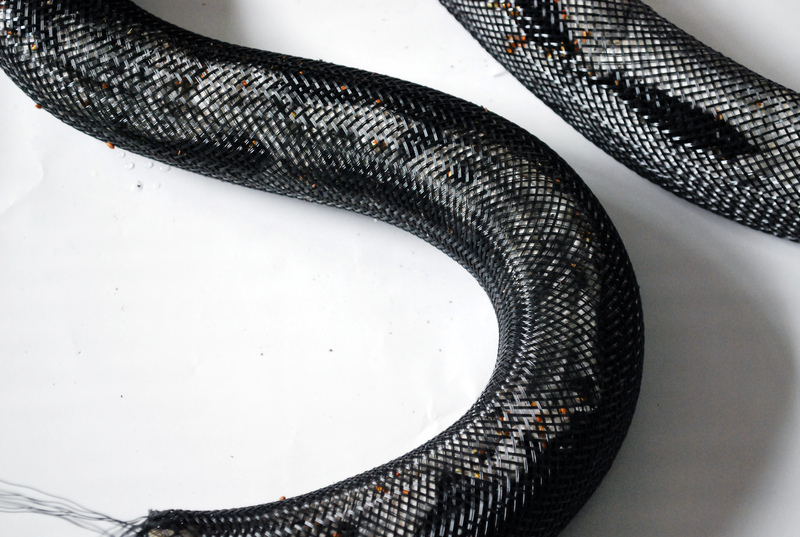 comparison to physically braided artefacts. 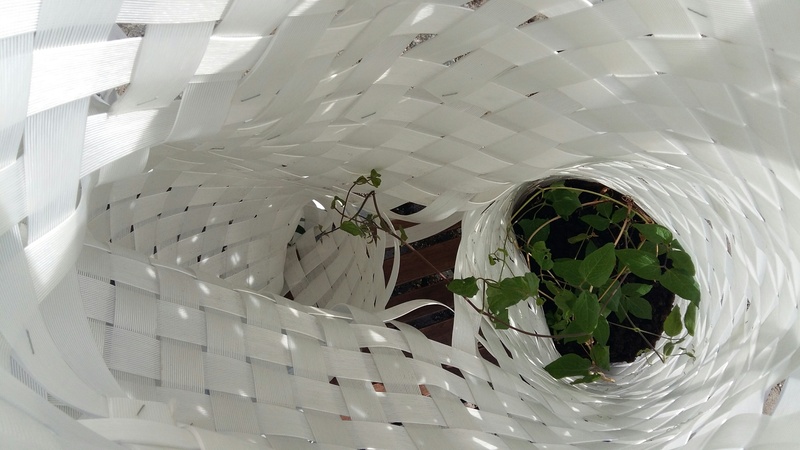 Young Lonicera planted within braid cavity, early Spring 2016. 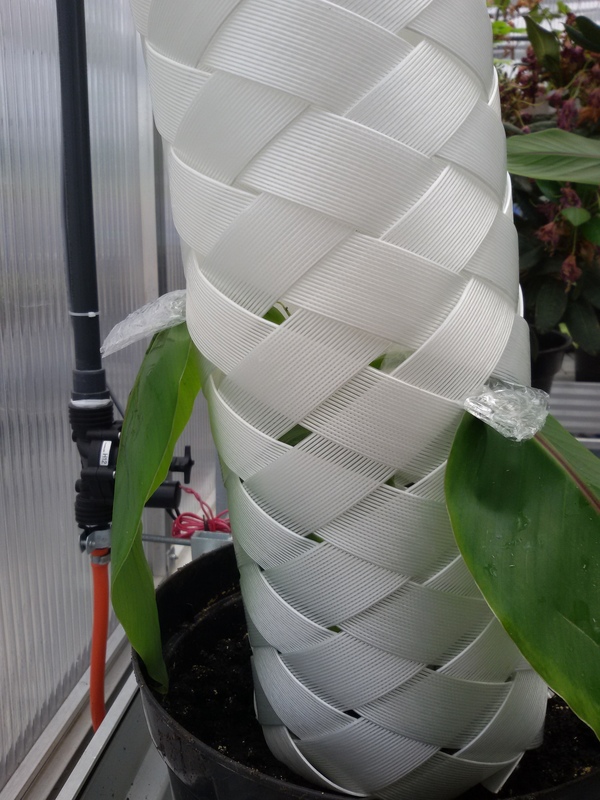 Testing of braid actuation (extension) through Banana plant growth. 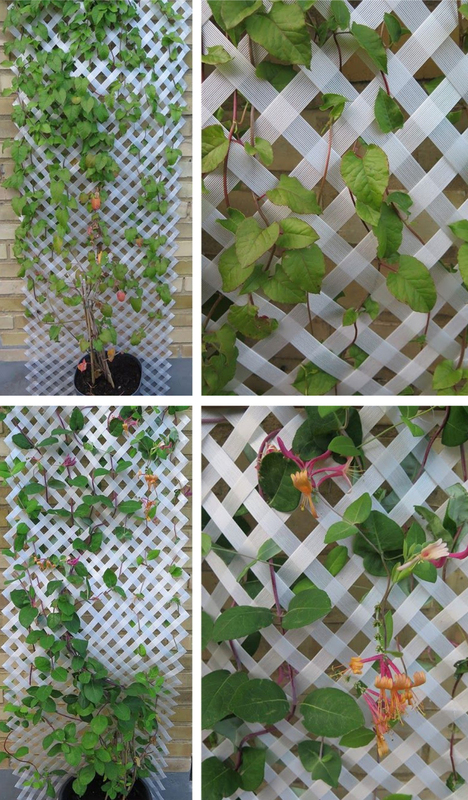 Fallopia Aubertii & Lonicera ‘Henry’ growing on flat braids to examine progressive braid stiffening through plant growth. 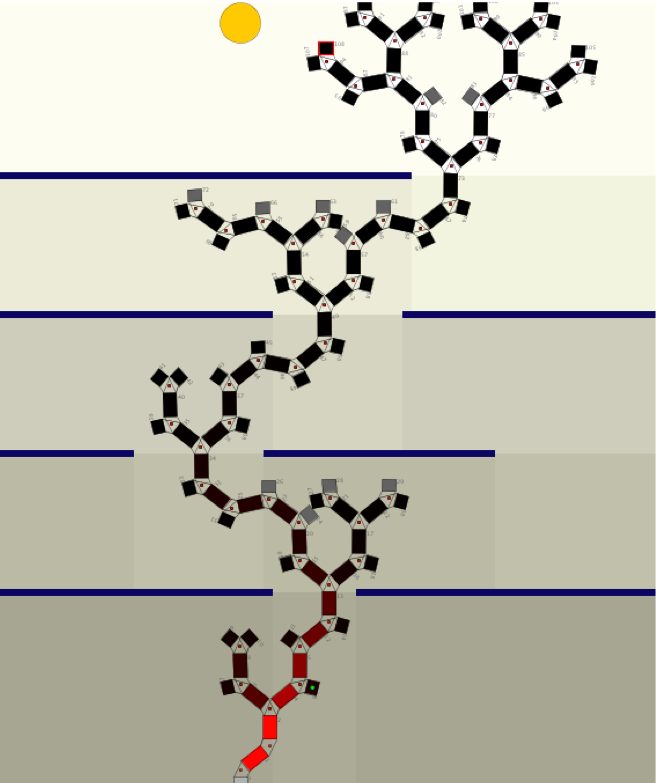 Developing a taxanomy of braids. 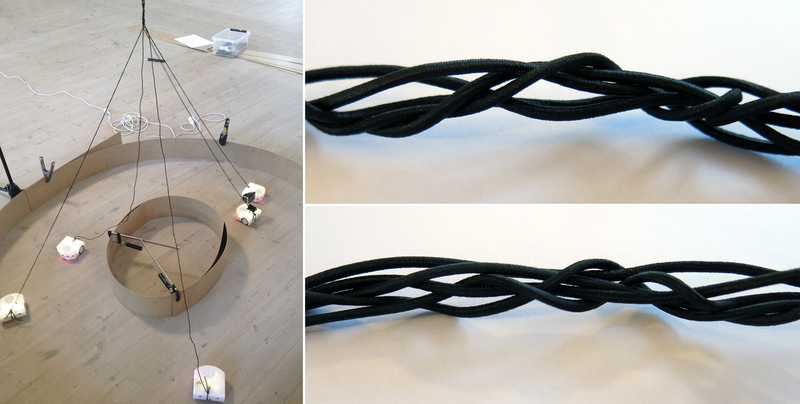 Mechanical force measurement of braid actuation. 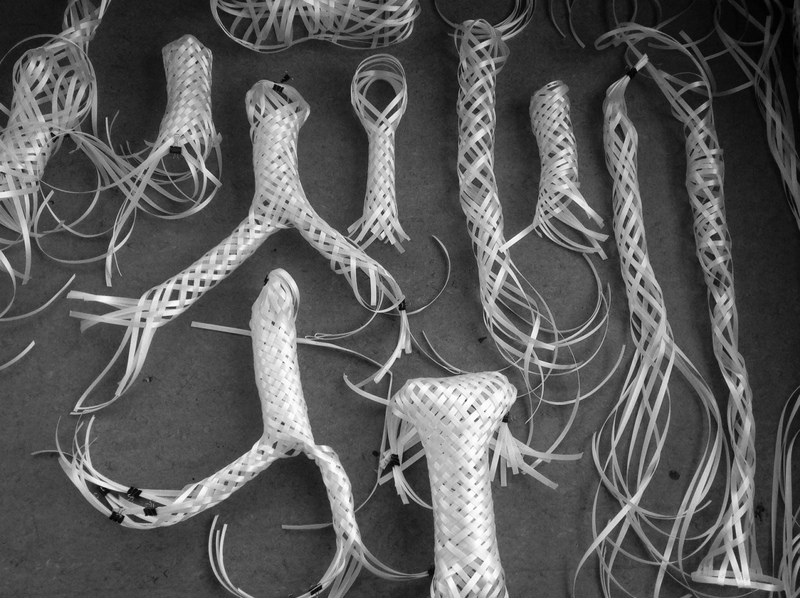 Increased complexity of braid morphologies. 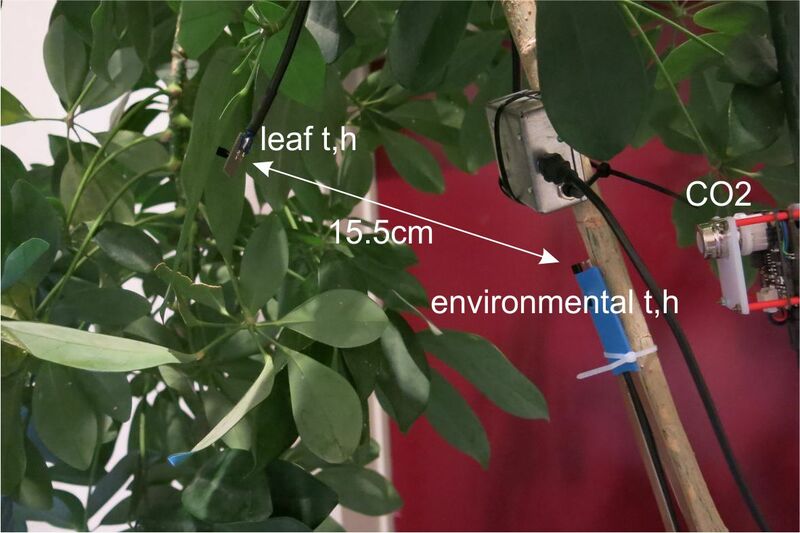 Transpiration, water flow and CO2 sensing. 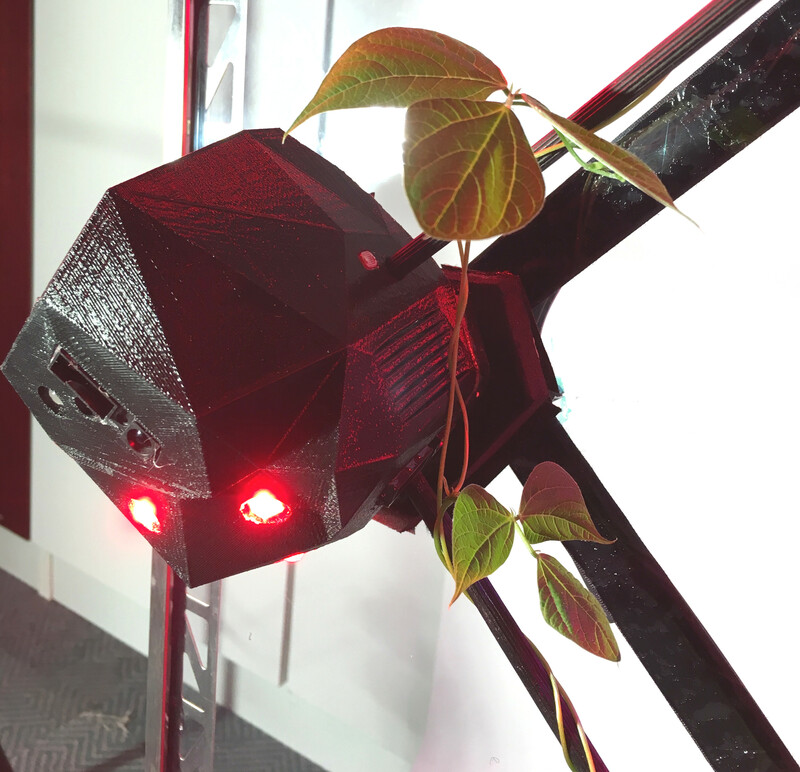 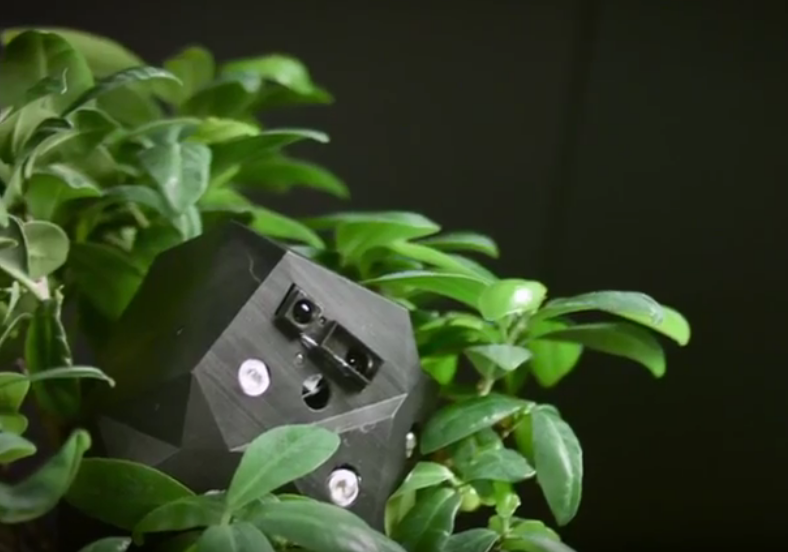 Real-time monitoring of plant sensing channels. 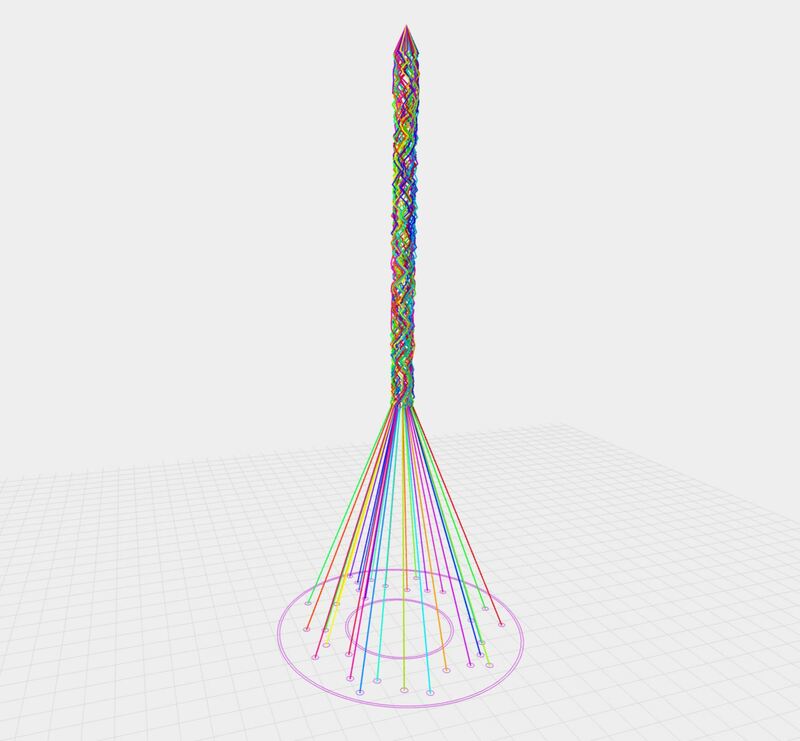 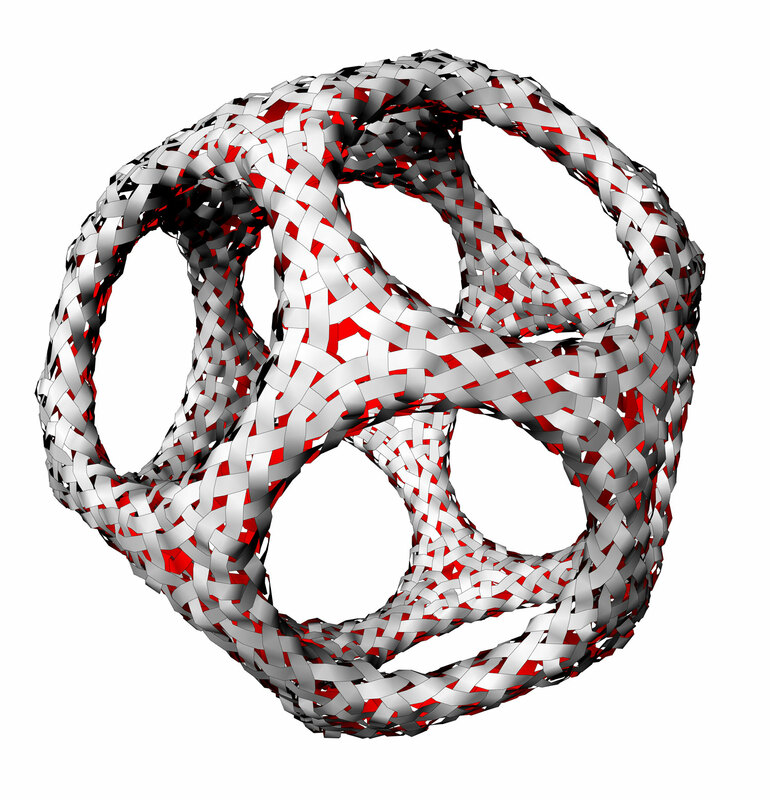 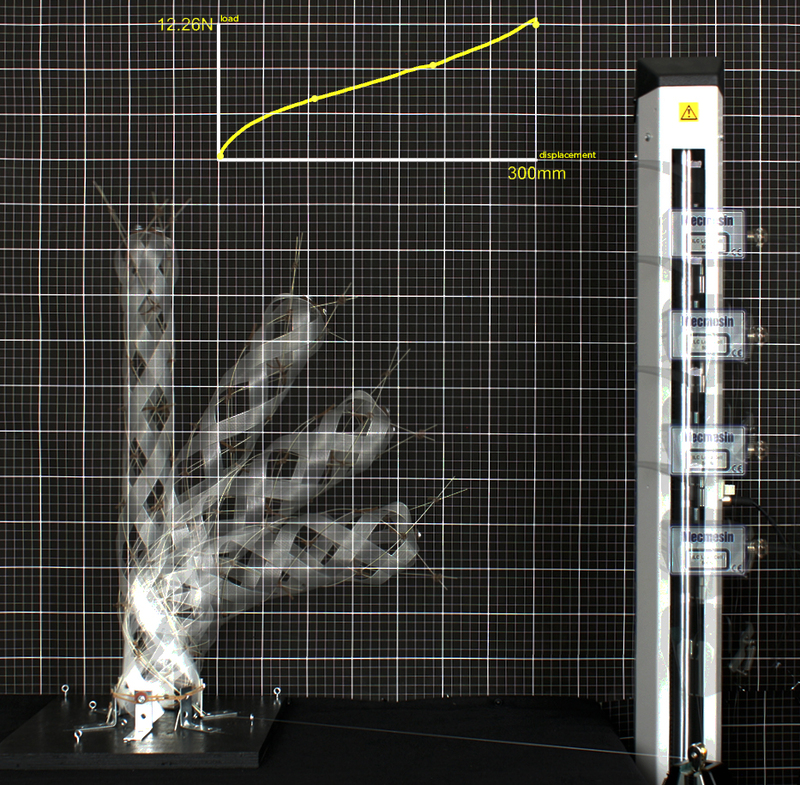 A distributed vascular morphogenesis controller for growing artificial structures. 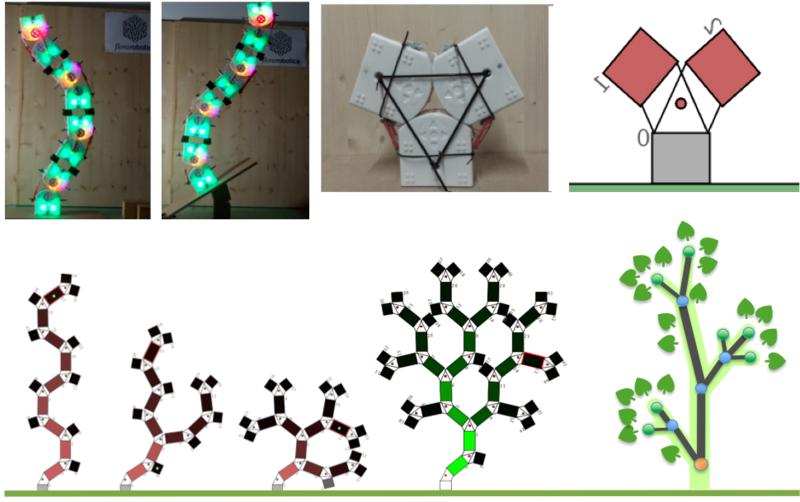 The distributed vascular controller operating on Thymio robots and in simulation. 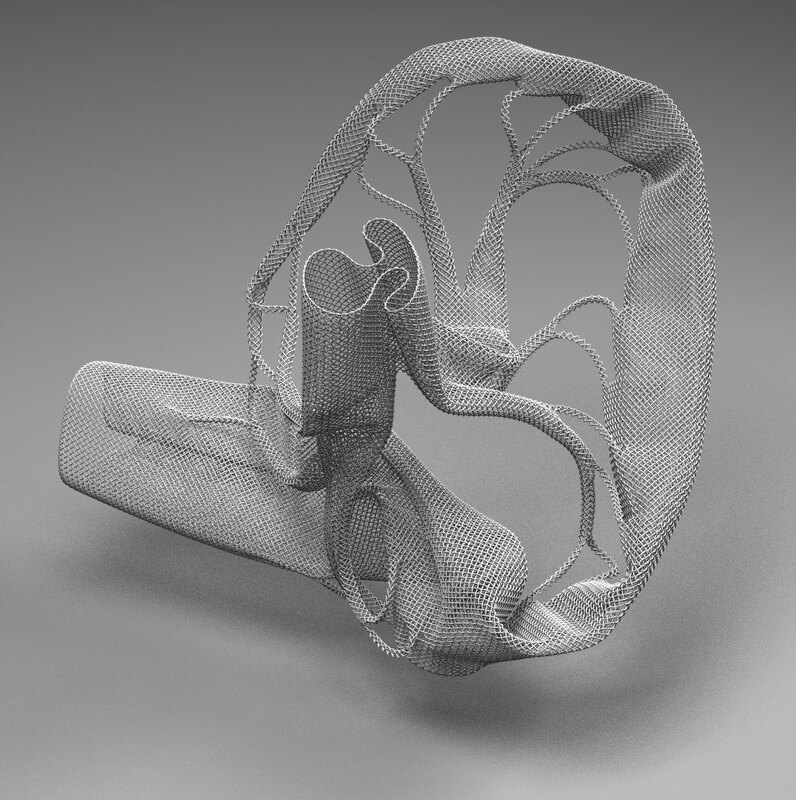 Simulated outcomes of the distributed vascular controller. 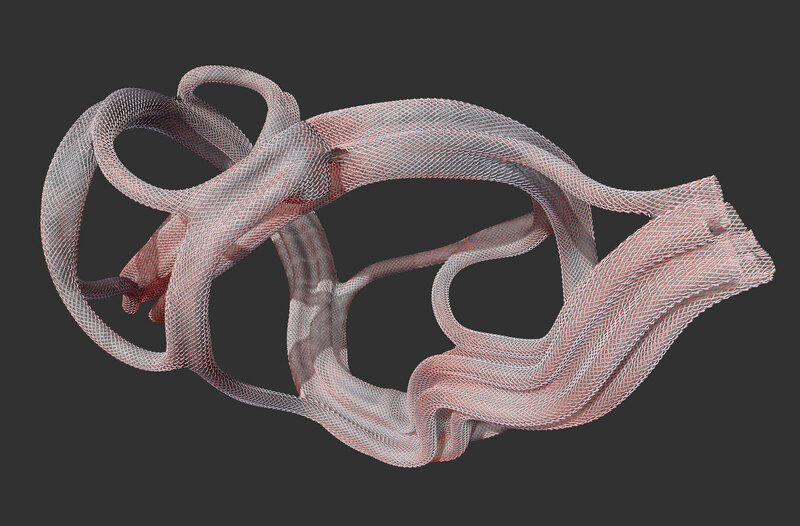 Simulated outcome of the distributed vascular controller. 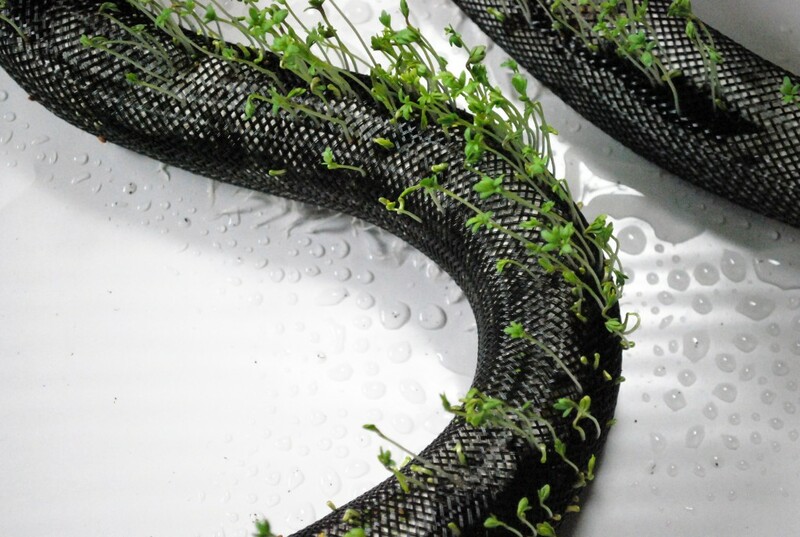 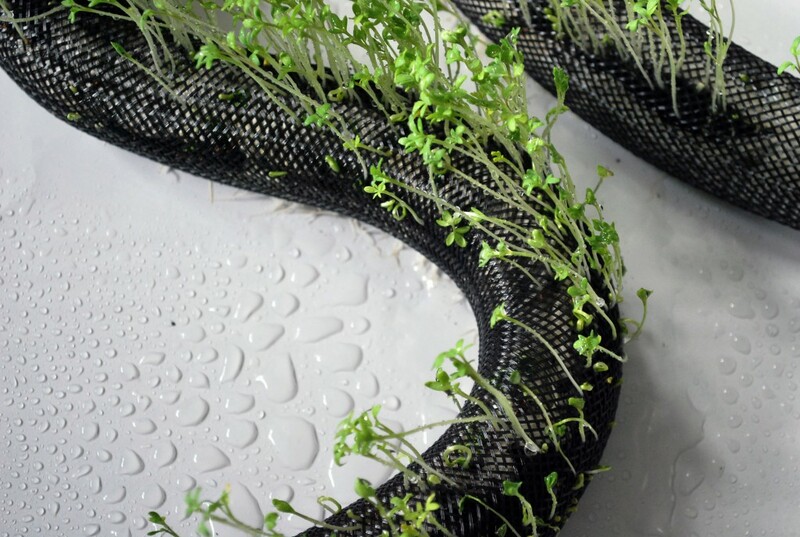 Growing Arabidopsis in an engineered PET braid.